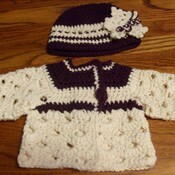 I have been crocheting and doing crafts since I was 8 years old. I had an aunt that taught me how and I loved it. Have sold my products on and off for many years but, I am love struck since I starting selling online. I am just like a kid in a candy store and don't want to stop. I want the person that takes these items home to love them and enjoy them for many years to come. I hope you like my items and if you have any questions please contact me. I will combine shipping. Hope you have a wonderful day and keep a check on me you never know what I will find or make. Stop by my fan page on facebook and become a friend. Let me know yours fan page and I will stop by and do the same. salliesfunworld doesn't have any items in their booth! Sallies Fun World is a great shop and this is a honest seller. I have no worries when doing business with this shop. salliesfunworld is a great artist and a honest person to do business with! Wonderful seller who welcomed and supported me . I would shop from her with confidence. Greets me immediately after I joined bonanzle. Makes me feel welcomed. I am pleased to meet her. Blessings be always. Thanks for the welcome! See all your things as soon as I can get setup. Hey thanks for the endorsement. I’m new at all this stuff. thanks again. Thanks for SUPPORTiNG Montrose’s N0V Birthdays PR0MO> Anyone dropping POSiTiVE energy my waY = definitely deserves my individual PERS0NAL eND0RSEMENT ~ Please take a moment to visit membersâ€™ (salliesfunworld) b00tH nextâ€¦MONTR0Se approves this message! Hi beautiful booth! Thanks for the tweet! Very sweet gal! Glad to know you Sallie! Thank you for adding me to your favorites and tagging! I have returned this favor as well! Stop by and chat anytime!! Thanks again! What pretty things you have! Thank you for adding me to your Favorite Booth List!